Now It Is Easy To Track Your Employee Attendance - Template FreeDownload ! If you want to view-ms-office-documents-as-html-in-gmail/">manage your employee attendance for your small concern means use this template to make your work easy. Therefore, you can download a template from Microsoft in MS Excel format. With this template, you can easily track employee vacation, leave and personal leave along with other how-to-keep-the-fonts-intact-while-downloading-or-distributing-the-documents-in-ms-office/">details like supervisor name etc. 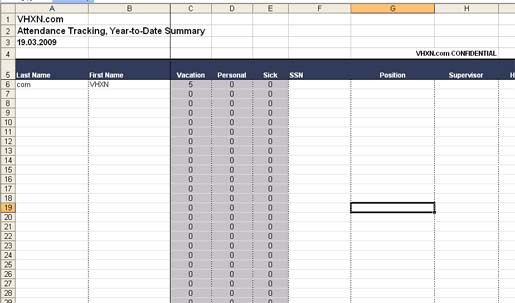 You can have a how-to-read-pdf-files-in-gmail-without-pdf-reader/">fully formatted employee attendance tracking MS Excel template from Microsoft website. Moreover, you can customize this template, add and remove the games-in-ms-excel-refresh-your-mind/">tables.